Atlas and the globe, originally uploaded by richardr. part of outside wall,st. barbara church, originally uploaded by bighairros. Mosiac on entry to MonchsbergAufzug, originally uploaded by foggychan. 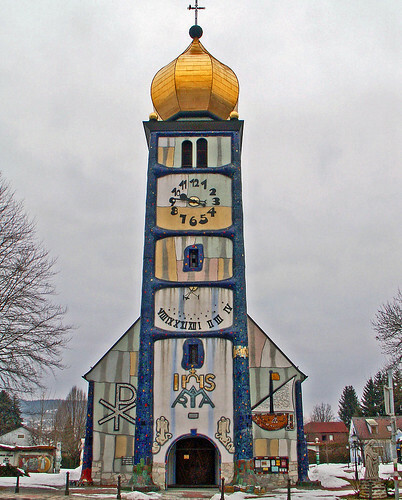 Saint Barbara Church, originally uploaded by Imlock. Saint Barbara was a beautiful girl who dwelt in the city of Nicomedia in Asia Minor. Dioscurus, her cruel pagan father, had her shut in a tower in order to preserve her from suitors. She nevertheless secretly converted to Christianity. Her father commanded that she be built a bath-house, so that she would not have to use the public baths. The design for the bath-house originally had two windows, but Barbara had a third installed to commemorate the Trinity. Her father, seeing this change, discovered that she was a Christian. He had her taken to a Roman imperial magistrate during a persecution of Christians, who ordered her to be beheaded, and directed that her father carry out the sentence himself. He did so, but, according to the story, was struck dead by lightning in divine retribution. Juliana of Nicomedia suffered the death of a martyr along with Barbara and was likewise sainted. St. Barbara was formerly one of the Fourteen Holy Helpers. Her association with lightning caused her to be invoked against lightning and fire; by association, she also became the patron of artillery and mining. Her feast was formerly celebrated on December 4; in the 1969 reform of the Roman Catholic liturgy her public cultus was suppressed to a purely local celebration, and her name was dropped from the litany of saints. In the 12th century, the relics of St. Barbara were brought from Constantinople to the St. Michael’s Golden-Domed Monastery in Kiev, where they were kept until the 1930s, when they were transferred to St. Vladimir’s Cathedral in the same city. Her veneration in the Eastern Orthodox Church remains very popular and her feast day is celebrated on December 4. Patron of artillery gunners, masons, mathematicians, miners, military engineers, stonecutters, anyone who works at risk of sudden and violent death. Hoo Hoo, ru ru, morepork, woof??? All the sounds an owl can make LOL. And yes, the woof is Australia’s barking owl. IMG_4574, originally uploaded by chottish. I’m in wildlife mode and looking for ideas for my contribution to the Steve Irwin Mosaic Tribute Project. I have a half an idea for an owl so I went out looking to see what is out there already. This one is in Leeds. 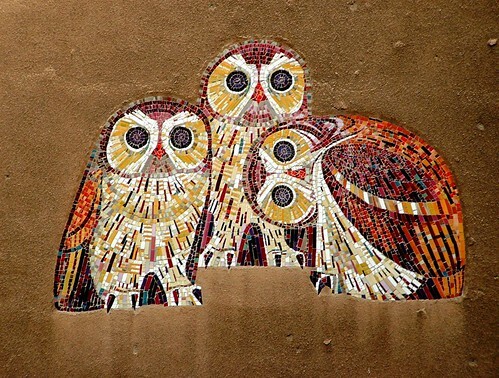 Owl mosaic, Vienna, originally uploaded by Stefan Schäfer. 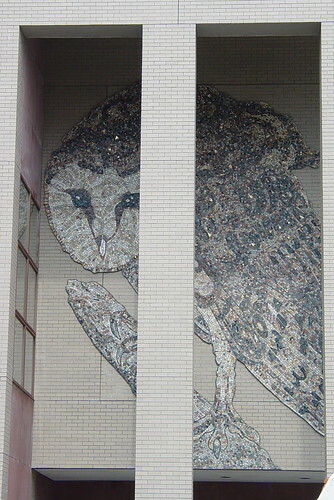 Mosaic Owl, originally uploaded by rkeefer. 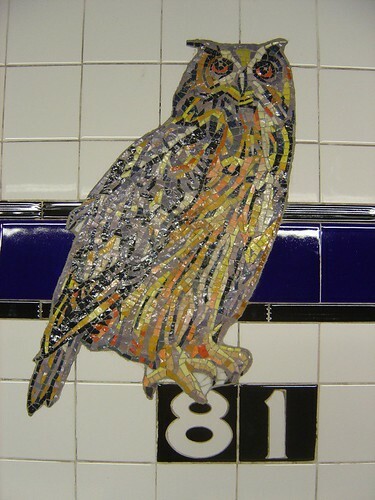 Owl from “For Want of a Nail” @ 81st Street Museum of Natural History Station, originally uploaded by yehwan. 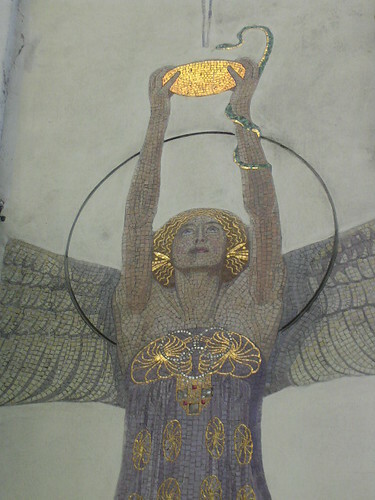 Vienna Pharmacy, originally uploaded by A.Currell. The prettiest public toilets in the world? 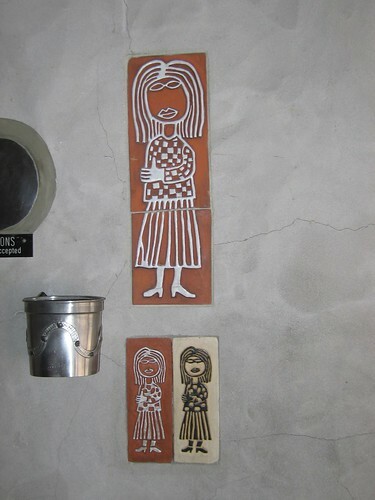 Hundertwasser Toilets, Kawakawa (3), originally uploaded by wanderingscotty. 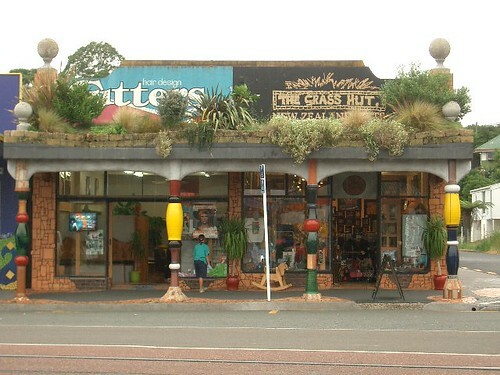 Hundertwasser lived in Kawakawa, New Zealand for the last 25 years of his life. 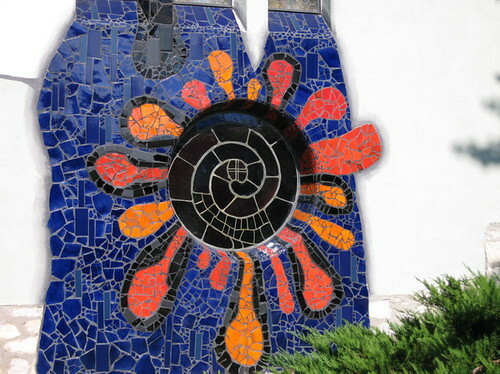 He designed the public toilets there and they feature some great mosaic work. 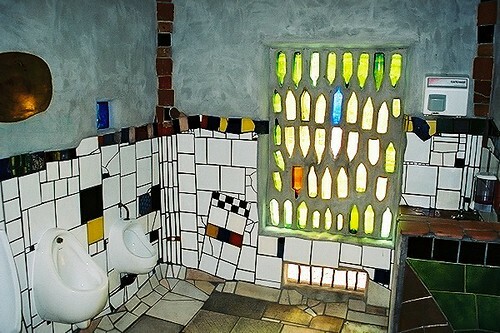 Now this is what I call a great bathroom renovation! Gaudi may have done the park but everyone needs a public toilet! 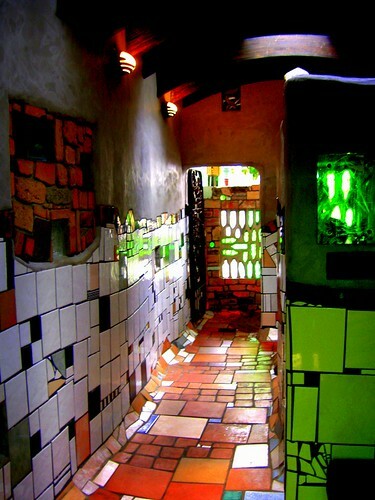 hundertwasser public loos, originally uploaded by c h a r l o t t e.
Hundertwasser Toilets, originally uploaded by sbisson. 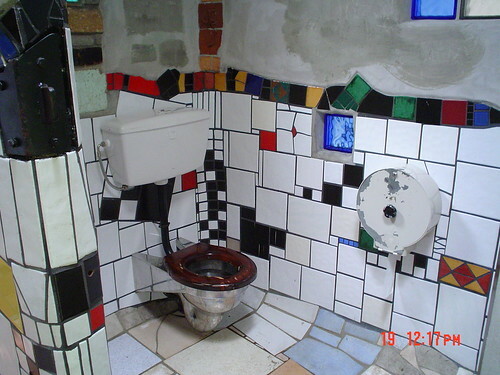 Hundertwasser-Toilet 4, originally uploaded by Click Attack. 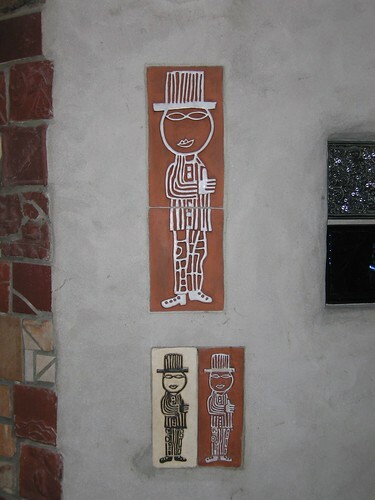 Hundertwasser Public Toilets – Kawakawa, originally uploaded by markmat. Hundertwasser, originally uploaded by antonyryn.